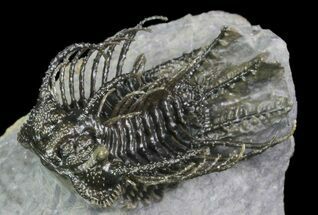 This is a very special piece with incredible preparation. 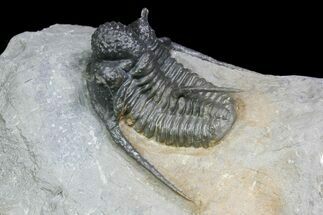 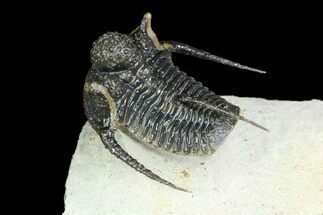 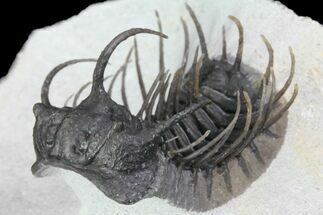 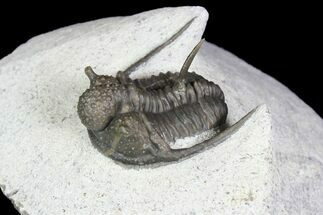 It features and exquisitely prepared Koneprusia trilobite next to a small enrolled reedops. 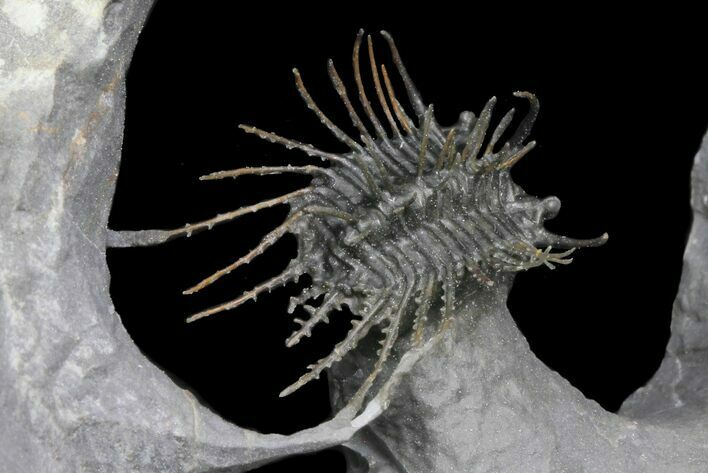 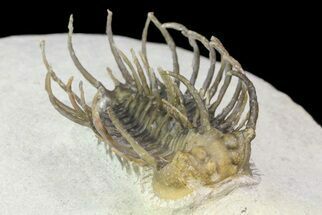 Despite it's small size the Koneprusia even has preserved spines on it's spines, a testament to the quality of the work which would have taken many dozens of hours.